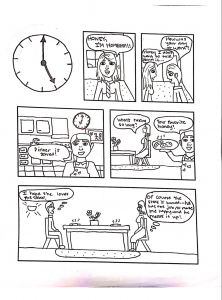 Project Description: Now that we have read and discussed Scott Mcloud’s comic, Understanding Comics, and the various characteristics and types of comics, I have decided to create a comic of my own. 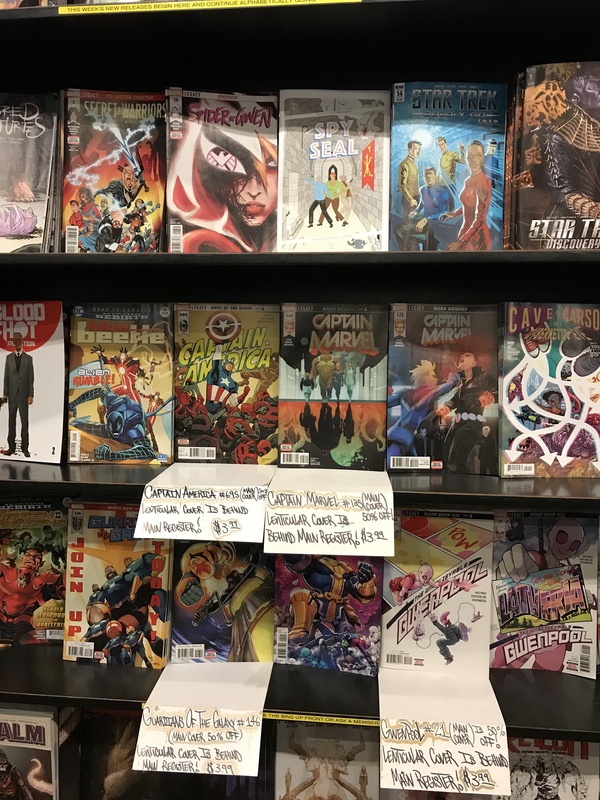 To begin my project, I am going to do research by going to a comic book store and reading through comics and by writing narratives for all of my panels. 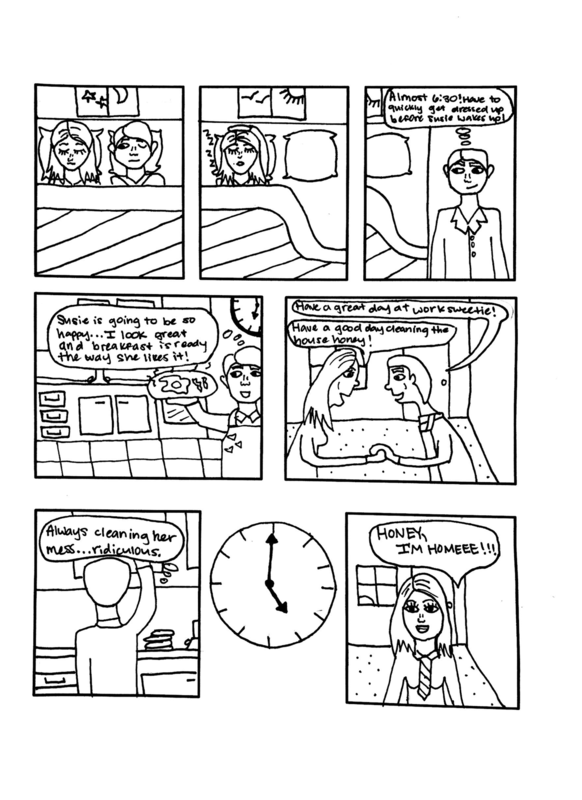 Then, I am going to create a comic that will concentrate on exploring gender roles, domesticity, and humor. 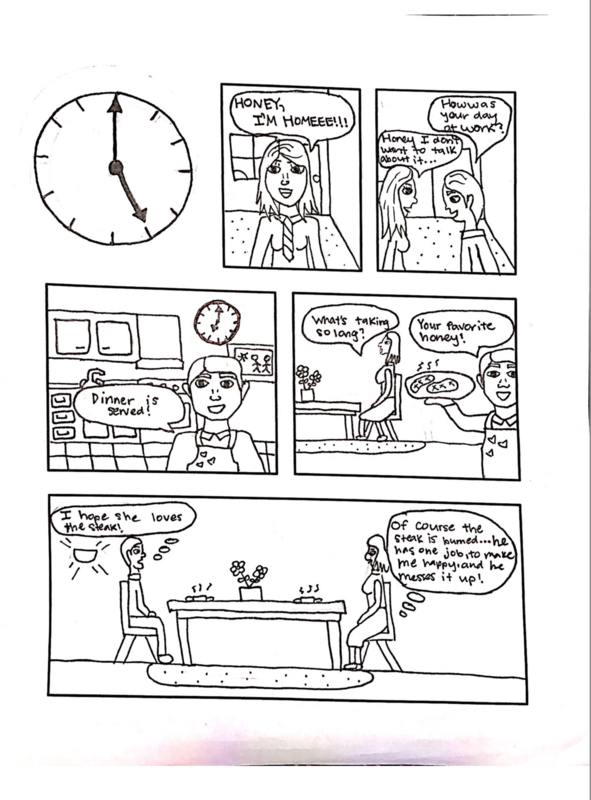 The panels in the comic will reflect my own personal experiences of living in the south. My first step of research was going read through comics at Forbidden Planet, a comic book store. My second step of research was to look up ways to prep myself to draw my panels for my comic. Through my research, I learned that writing narratives for the panels before drawing them makes things more productive and efficient. Rough Draft: The rough draft version of my post is the narratives above. 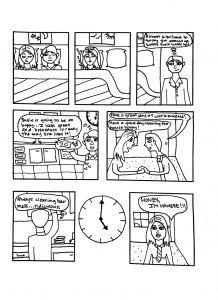 Final Project: This is the final version of my comic. Reflection: Overall, I really liked this project. This project let me work on my weaknesses with illustration and photoshop. Additionally, I think that this project definitely strengthened both of those weaknesses. Furthermore, this project really inspired me to work more on my illustration skills and photoshop skills, because I was really proud of what I accomplished through through my comic.